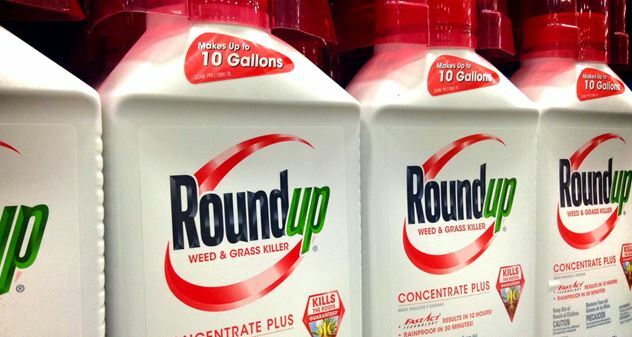 SAN FRANCISCO (CN) – Two jurors who voted to hold Monsanto liable for a man’s fatal cancer from using the weed killer Roundup called a California judge’s intention to gut the $289 million verdict “unreasonable” Thursday, and rejected criticism they had been emotionally manipulated into making the finding without evidence. In August, a unanimous San Francisco jury found Roundup caused school groundskeeper Dewayne Johnson’s non-Hodgkin lymphoma. Johnson isn’t expected to live into 2020, and the 12-person jury awarded him $33 million for his reduced life expectancy. Based on internal emails suggesting Monsanto ghost-wrote parts of scientific articles that found no link between Roundup’s active ingredient glyphosate and cancer, and “questionable connections” between Monsanto and the U.S. Environmental Protection Agency, the jury also found Monsanto knew about the herbicide’s alleged carcinogenicity but hid its dangers from Johnson, and awarded him another $250 million in punitive damages. Soon after, Monsanto asked San Francisco Superior Court Judge Suzanne Bolanos to overturn the verdict or order a new trial. The company, which was acquired by German pharmaceutical giant Bayer in June, argued Johnson’s lead trial attorney Brent Wisner prejudiced the jury by making inflammatory remarks about Monsanto in opening and closing statements. He also told jurors he envisioned Monsanto executives huddled in a boardroom “waiting for the phone to ring” with news of the verdict from “Ms. Buck.” If the jury doesn’t award a large enough damages award, “champagne corks will pop. ‘Attaboys’ are everywhere,” he said. Both Howard and Kitahata said jurors disregarded Wisner’s remarks in deliberations, writing them off as “legal theatrics” and “the style of these particular litigators.” Both also noted Bolanos repeatedly instructed jurors to disregard the statements and warned they would otherwise be sanctioned. Kitahata said Wisner’s remarks “may have come up in passing” during the jury’s three days of deliberations, but he didn’t remember discussing them. On Oct. 10, Bolanos issued a tentative written ruling indicating she would overturn the $250 million punitive damages award because there was no “clear and convincing evidence” of malice by Monsanto to support it, but said she might instead order a new trial on punitive damages. In a hearing later that day, she suggested reducing the $33 million awarded for reduced life expectancy to about $9 million if she upholds the verdict. In response, Howard, Kitahata and a third juror, Charlie Kaupp, wrote to Bolanos and appeared on local television news broadcasts urging her to uphold the verdict. They also questioned her review of the case. “I thought that such an extraordinary exercise of judicial power to quash a jury verdict was appropriate only in the case of jury misconduct or malfeasance,” Kitahata wrote in his letter to Bolanos. The California evidence code, however, states a judge reviewing a verdict may consider evidence regarding “statements made, or conduct, conditions, or events occurring, either within or without the jury room, of such a character as is likely to have influenced the verdict improperly,” such as Wisner’s challenged remarks. The media appearances and letters, which include two additional juror letters not made public by their writers, prompted some observers on Thursday to question the jury’s impartiality. Howard, an artist and contractor, was described as “angry” over the ruling in an interview earlier this week with Minnesota-based Organic Consumers Association (OCA), a group that advocates against glyphosate use and biotech crops like those engineered by Monsanto to withstand Roundup. He rejected the notion his feelings about the ruling or calling OCA to arrange an interview mean he wasn’t impartial during the trial. Kitahata, who consults on public financing projects, also rebuffed suggestions he was emotionally invested in the case during jury deliberations. “The only emotion that came out was when we were talking about Mr. Johnson and his expected life expectancy,” Kitahata said. He said regardless of how the jury’s actions are construed, there is clear and convincing evidence Monsanto hid Roundup’s carcinogenicity to stay profitable. Asked if he thought Bolanos was biased toward Monsanto, Kitahata declined to say. Howard said he did not think Bolanos was biased. The World Health Organization’s cancer agency classified glyphosate in 2015 as a probable human carcinogen, triggering thousands of lawsuits against Monsanto in the United States, including Johnson’s. His lawyers argued in a four-week trial this past summer that Monsanto knew for decades Roundup is carcinogenic but didn’t include a cancer warning label with the product or instruct users to wear protective clothing when spraying it, for fear of disrupting its multibillion-dollar global business. Monsanto countered U.S. and European regulators have repeatedly designated the widely used herbicide as safe. It argued the herbicide could not have caused Johnson’s illness because cancer takes about three years to develop, and Johnson used Roundup for just one summer for his job with the Benicia school district before developing cancerous lesions over most of his body the following fall. Bolanos is expected to rule early next week.